Hello and welcome to the Caltech Chapter Page. Our mission is to provide a safe and social environment at Caltech for QuestBridge Scholars and provide new opportunities. We hold meet-ups and participate in QuestBridge activities and our immediate goal is to become recognized officially by the campus. Long term, we would like to see the chapter grow and develop new traditions and programs for future Caltech QuestBridge Scholars to be a part of. To grow as a chapter, we have reached out to different organizations on campus. We have relations with the admissions office, sharing shirts with them for National Quest Day. Additionally, we have received assistance from the Caltech Center for Diversity. The Assistant Director provided us with support and resources and has been to one of our meetings to chat with us. Aiding in our goals, we hope to strengthen our relationships with various Caltech offices on campus. As a growing chapter we have begun to plan more events throughout the rest of the school year. Currently we do casual meet-ups at least once a term where we catch up, plan for new events, and enjoy a catered lunch with one another. These are great opportunities to meet fellow students who share something in common, everyone being QuestBridge Scholars. Upperclassmen can give advice to our new “frosh” and share their experiences as a “Techer”. 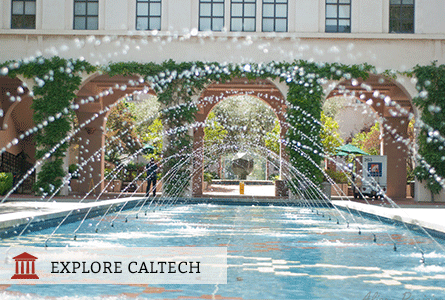 We hope to welcome you to our Caltech family!